The Engineering Development & Applications Department concentrates its activities on Corrosion & Mechanics of Materials, Irradiation Performance, Engineering Development Labs, and Engineering Projects. With our colleagues in Nuclear Systems Analysis and Engineering Analysis Departments, we develop designs and concepts for advanced nuclear energy systems, including advanced fast reactors and small modular fast reactors. These design concepts are complete integrated nuclear energy concepts used to understand the impact of introducing various innovative and advanced systems and components on the performance, safety, and the feasibility of the design. 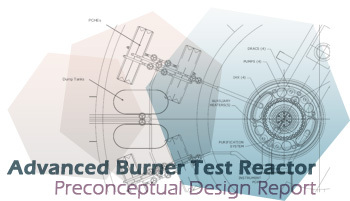 Some examples of the design concepts developed are the Small Modular Fast Reactor and the Advanced Burner Test Reactor. 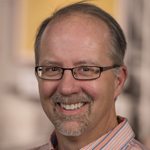 PDF Help Notes (link opens in new browser window). This report describes the design of a Small Modular Fast Reactor that has been developed jointly by Argonne National Laboratory, Commissariat a l’Energie Atomique and Japan Nuclear Cycle Development Institute as an international collaborative effort. A reactor size of 50MWe was selected for a specific niche application to small grid systems, where industrial infrastructure is not sufficient and the unit cost of electricity generation is very high with conventional technologies. Examples of this are remote areas in Alaska, small grid systems in developing countries, Pacific-basin islands, remote military locations, and similar unique situations. Numerous innovative design features have been incorporated into the SMFR design including a metallic fueled core with high internal conversion ratio so that refueling for reactivity reasons is not required for 30 years, inherent passive safety characteristics achievable by sodium cooling, simplified reactor system for modular construction and transportability, and supercritical CO2 Brayton cycle power conversion system. Available Postdoc Appointments are listed at Postdoctoral Opportunities web site.